Sharm El-Sheikh (Egypt) (AFP) - Global political and business leaders gathered in an Egyptian resort town on Friday for a three-day conference President Abdel Fattah al-Sisi hopes will bolster both foreign investment and his international standing. 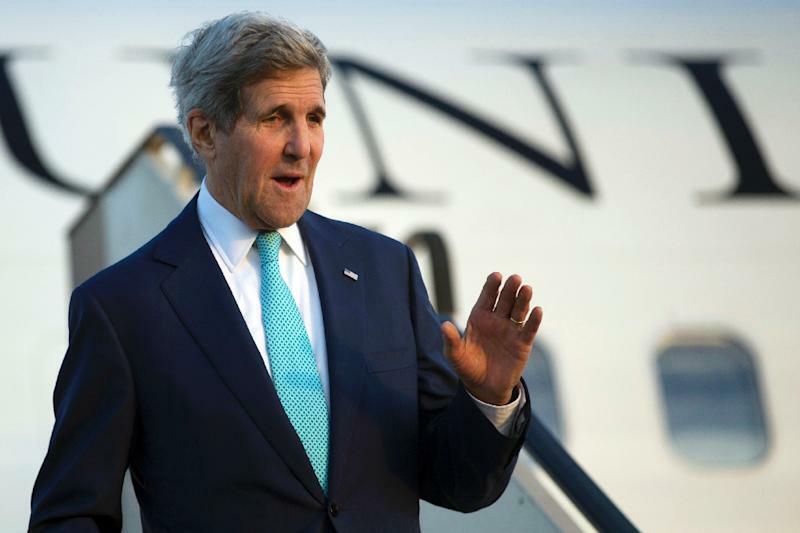 US Secretary of State John Kerry arrived earlier on Friday to the Red Sea resort town of Sharm El-Sheikh where hundreds of foreign dignitaries and businessmen will look into investing in the country after four years of tumult. Hours before the conference began, three small bombs went off in an upscale Cairo neighbourhood popular with expatriates, and three soldiers were wounded in a rocket attack in Sinai, north of Sharm El-Sheikh. The attacks were relatively minor compared with those that have killed scores of security personnel since the ousting of Islamist leader Mohamed Morsi in July 2013, but came as a stark reminder of the lingering unrest Sisi's government has struggled to stamp out. Restoring the economy and attracting foreign investments that have nosedived in recent years have been key tenets of Sisi's presidency, with this week's conference already marked down as a milestone by his government. Conference consultant Richard Attias told AFP that "more than 30 projects will be unveiled, which can attract billions of dollars of investment." General Electric, Unilever, British Petroleum, ENI and HSBC are among companies and banks attending. 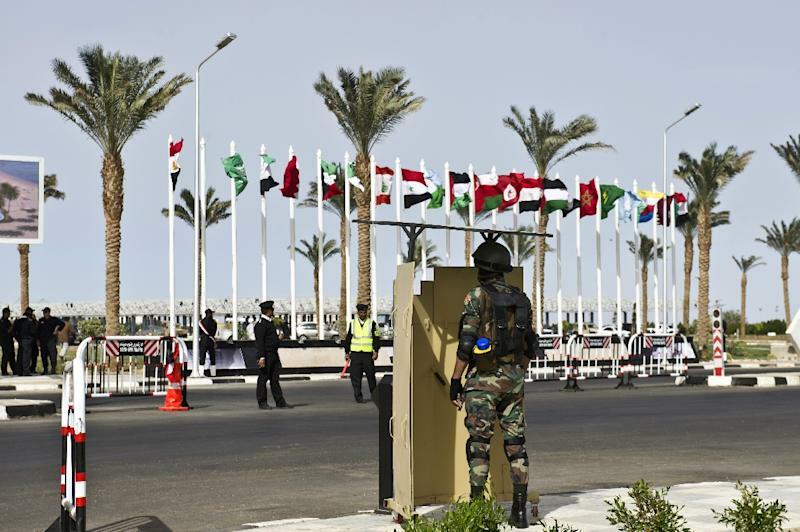 Presidential guards and hundreds of policemen have been deployed across Sharm El-Sheikh, located in the generally secure south of the Sinai. 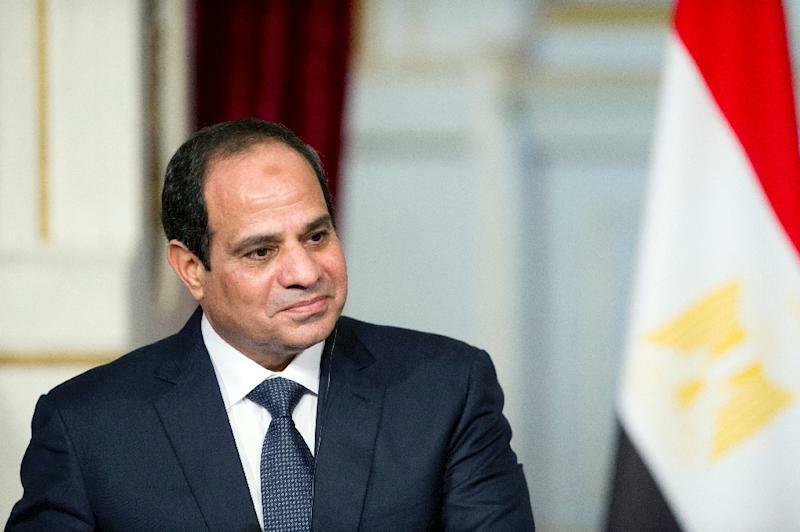 Following his ousting of Morsi -- the country's first democratically elected leader -- Sisi had faced criticism abroad for a crackdown on dissent that left hundreds dead in street clashes. He has since his election last year sought to persuade Western allies such as Washington that his country is on the front lines of a war against regional militants, such as the Islamic State group that commands an affiliate in Egypt. "If Egypt is stable -- a country of 90 million people -- this will represent the strongest bedrock of stability in this region," Sisi told Fox News on Monday. "For Egypt this is not an economic event, but rather a political one," a Western diplomat told AFP. Kerry, whose government partially froze aid to Egypt over the crackdown, told businessmen in Sharm El-Sheikh "the United States of America is eager and ready and willing to be a catalyst in Egypt's economic development." But there had been "no decision" on freeing up $650 million in frozen military aid, a US diplomat told reporters travelling with Kerry. Washington said Kerry would meet Sisi during the conference to discuss the campaign against the Islamic State group which controls swathes of Iraq and Syria. Cairo, which has turned to France for new fighter jets, says aid is crucial to combat militants in Sinai and Libya, where Egyptian fighter planes struck IS targets last month. Against that backdrop, representatives from more than 80 countries and international organisations are attending the three-day event. "The aim is to put Egypt back on the map of international investment, and send a message to the world that the country is safe and attractive," International Cooperation Minister Naglaa al-Ahwani said. "They particularly want to return Egypt to the headlines in a positive way," said Aaron Reese, researcher at the Washington-based Institute For The Study of War. Projects in energy, transport, industry, telecommunications and housing will be offered for investment. Sisi amended the law Thursday to make it more attractive for foreign investment, which plummeted since the 2011 uprising that ousted long-time president Hosni Mubarak. Among other things, the change lays down guarantees for deals signed with the government and offers incentives to finance labour-intensive projects. Egypt aims for economic growth of 4.3 percent in 2015-2016, compared with two percent annually since the anti-Mubarak uprising, while also reducing the budget deficit and easing unemployment.